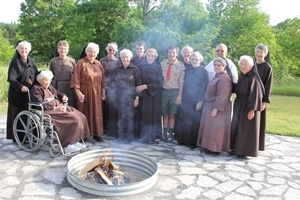 For many years, groups of Boy Scouts have come to the Franciscan Life Process Center from various troops for overnight retreats, meetings, and service hours. 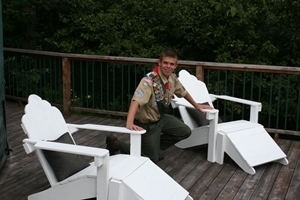 Between the years of 2007 and 2014, fifteen young men have completed Eagle Scout projects, two are in process, and another is prepared to begin his work. Each has profited personally from the experience and the Center has benefited greatly from the work each has done. 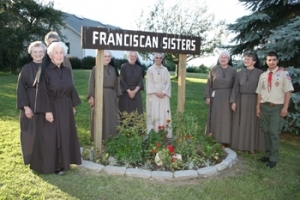 Projects have included construction of benches, picnic table, chairs, bluebird houses, flower beds, raised flower beds, a disc golf course, fire pit, entrance signs, and a portable stage. Prospective scouts can choose a project from a list that is available or suggest one in which they are particularly interested. Inquiry can be made by calling the Center at 616-897-7842.